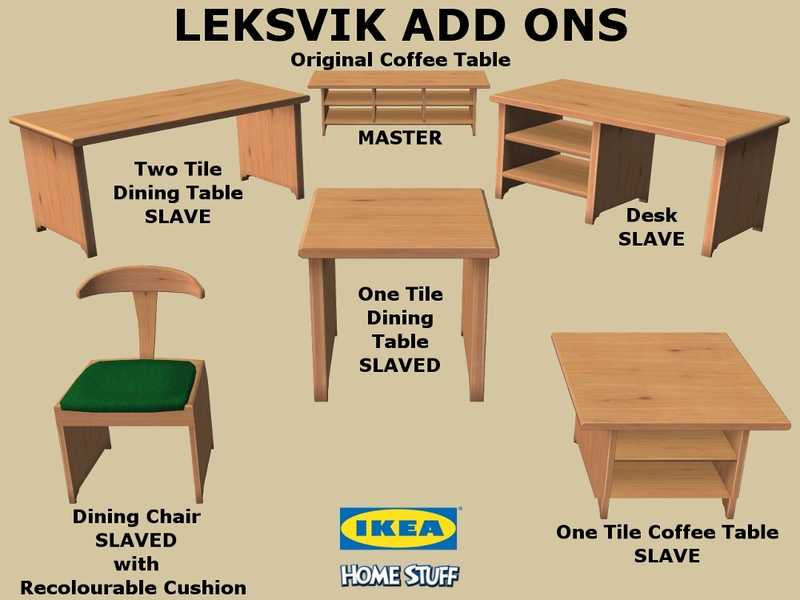 A set of add-on items to match Maxis' Ikea LEKSVIK coffee table. They come in in LACK colours, AL woods, and MALM woods (my favourite!). Eeee! Like Michelle, I always loved this coffee table and bemoaned the LACK (hah!) of colour options and matching items. So this set it pretty dang awesome, IMHO. Thank you, Michelle! Thank you. And thank you fanseelamb for sharing the link!